The sacred land of Armenia every year attracts more and more tourists to travel through the centuries, to make a pilgrimage to the important religious shrines, to get acquainted with the rich history and culture of the Armenian people. Armenia is the perfect destination to spend a holiday with family and children. Rich in culture and history, wonderful warm climate and 300 days of sunshine a year, delicious cuisine, diverse natural landscape and of course the friendly people – all this awaits you and your family in cozy and hospitable Armenia! 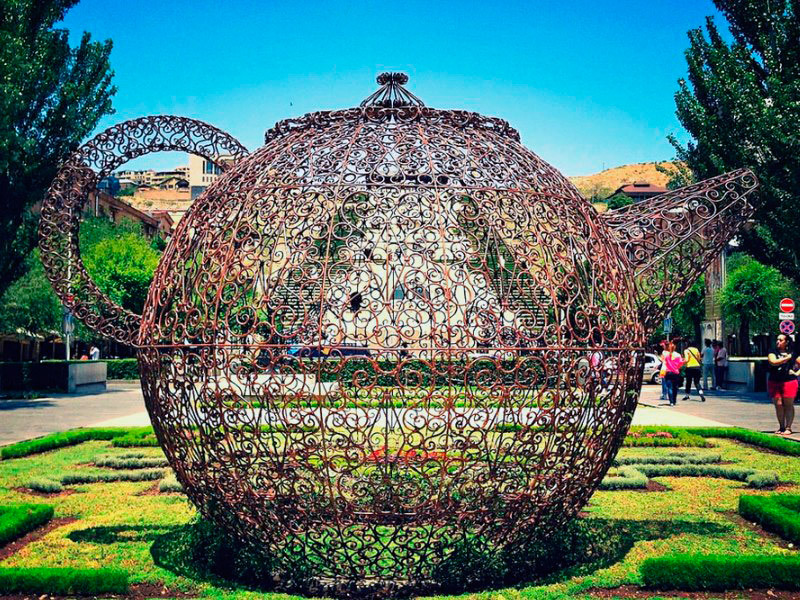 If you want to spend an unforgettable holiday with the kids, filled with bright colors and impressions, you should definitely visit Armenia and enjoy all its flavors and aromas. We are very pleased to help you through! We begin our guide on children-friendly holidays in Armenia with Yerevan, the capital of Armenia, the city of the sun and sincere smiles, modern metropolis with ancient history, where you can spend an unforgettable time with your family! We offer you to start unraveling this ancient city, which is older than Rome for 30 years, from the most popular places -the Republic Square and Northern Avenue. Here, at any time of the year and day is very crowded and lively. The Republic Square – this “pink heart” of the capital, boasts a unique architecture. On the Republic Square are situated the beloved “singing fountains”, which have become the hallmark of the capital. From May to October at exactly 9 pm the fountains begin to “sing and dance”, gathering around them crowds of enthusiastic spectators! You can enjoy the masterpieces of world classics, as well as the Armenian national music. From the Republic Square, like arteries depart the main central streets with numerous shops, cafes, and restaurants where you can try local food: khorovats (kebab and barbecue), kyufta, lahmadzho, dolma, arisa and Sevan trout called “ishkhan” by the locals. Turning on Abovyan Street, and making just a few steps forward, you will find yourself on the Northern Avenue – the most popular pedestrian avenue that connects the Republic Square with the Opera and Ballet Theatre. The Opera House and Swan Lake are among the preferred tourist destinations. Children of all ages are able to find something to do: in summer, they can roller skate and bike, ride small mini-cars that can be rented right on the spot. Swan Lake in the winter turns into a giant skating arena in the open air, where both adults and children can skate and have a lot of fun! And if you’re cold, you can always go to one of the countless cafes and enjoy fragrant tea or coffee! A little further away from Opera and Ballet Theatre is the Cascade complex – one of the symbols of Yerevan. Cascade is a huge stone stairway of pure white marble, which joins Victory Park to the city center. Cascade is the center of contemporary art, which contains unique sculptures in the Art Nouveau style: a huge cat or teapot, dancing deer and an iron horse, and many others. 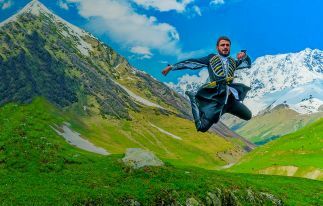 Students and their parents are definitely advised to visit Cafesjian Museum of Contemporary Art, which is an indivisible part of the Cascade. 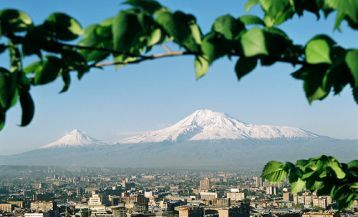 When you finally reach the top of the Cascade the delightful views of the Biblical Mount Ararat and magnificent Yerevan will open at a glance. Be sure to capture this beauty in the pictures and make a family selfie on the great Ararat background! Tour to Yerevan can be enriched with trips to the museums discovering the rich history and culture of this ancient country. 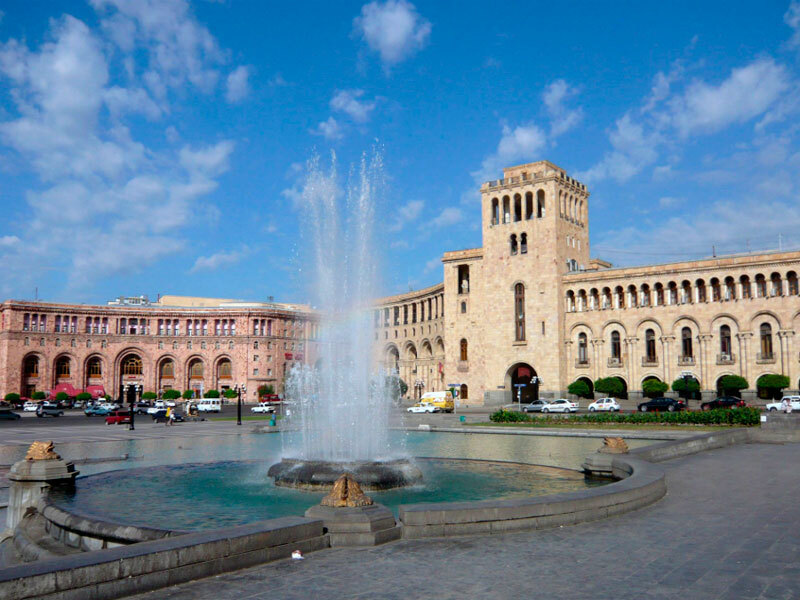 Students and parents are advised to visit the famous museum of ancient manuscripts Matenadaran, where the largest and smallest books in the world are preserved; visit the Museum of History of Armenia, which by the way is on the Republic Square, and the old fortress- museum of Erebuni. Of course, from all of the trips, we like to bring our friends and family members gifts and souvenirs. We offer your family to take a tour to the Vernissage – a market where the masters of the Armenian arts and crafts sell souvenirs, jewelry of silver and gold, and various handicrafts made of wood with national motifs. Tip: do not hesitate to bargain, because Armenia is a country at the crossroads of East and West, and some Oriental customs are common here. No children’s holiday can do without visiting the carousels, rides, and zoo. 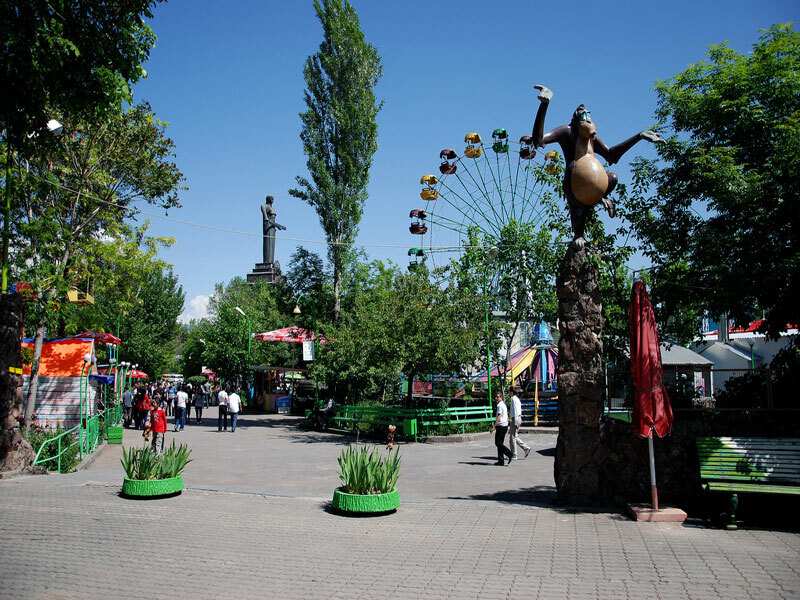 Yerevan has several amusement parks, the most famous and largest of which is the Victory Park, built in the Soviet era and named in honor of victory in World War II. As we mentioned above, the Victory Park can be reached directly from the heart of the capital – through the steps of the Cascade, offering panoramic views of the city. There are various attractions in Victory Park: Ferris wheel, mini rollercoaster, catamarans, racing circuit and so on. There is also a symbol of Armenia – the monument to “Mother Armenia” as the embodiment of the motherland, which is a huge sculpture of a woman with a sword in hands. Children can not only ride on the carousel but also explore the real items of military equipment: a tank, a missile and an aircraft that are located next to the monument. Children’s railway is another unique park, which is located in the picturesque gorge of the river Hrazdan. Created still in the Soviet Union, children’s railway operates to this day. The railway stretches for 2 km along the Hrazdan gorge and works only in the warmer months. Here you and your children can ride on a steam train in open wagons and have fun in the lap of nature, without leaving the city. 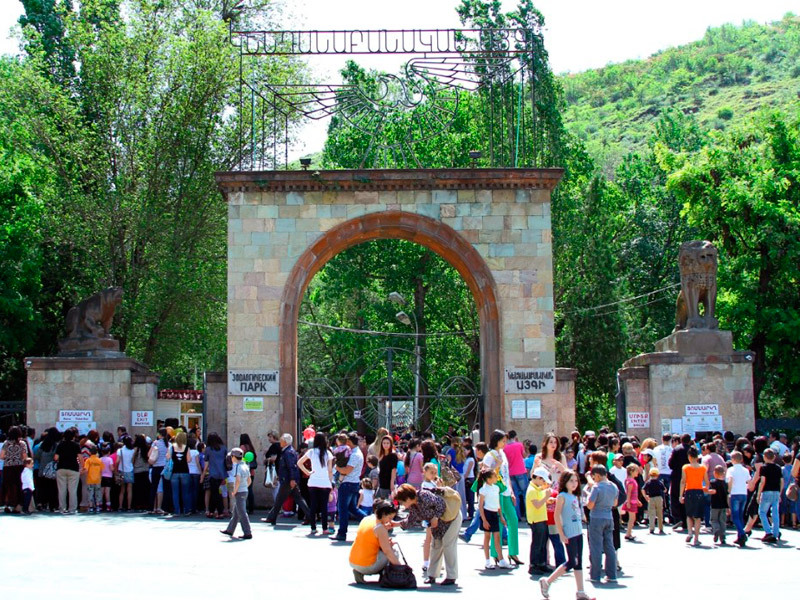 Speaking of parks, we cannot fail to mention the Yerevan Zoo another popular place for children. The Zoo has recently been renovated and is now home to the many animals. On holidays, clowns and animators entertain the children; shows, performances, and concerts are often organized. In the zoo there are cafes and attractions. The admission ticket is 500 AMD for adults, 300 AMD – for children from 3 to 16 years; children under three years old are free. The recent trend of family entertainment in shopping centers or malls is very widespread in Yerevan. Today, in Yerevan, there are 3 huge shopping centers: Yerevan Mall, Dalma Garden Mall and Rossia Mall. All three shopping centers can provide a huge space for a pleasant family past time: here you can find a children’s area with various attractions, Movie Park, cafes, and shops. If you have planned a lot of shopping, you can always safely leave children in the care of professional and caring teachers. Children will spend an unforgettable time in safe hands! Armenia is often compared to an open air museum. Despite its small size, there are countless interesting and ancient historical monuments, monasteries, and fortresses, exploring which will be fascinating for all the members of your family. Perhaps the first place among the attractions is an old pagan temple of Garni, built long before the adoption of Christianity. 9 km from the pagan temple of Garni is a marvel of ancient Armenian Christian architecture, the Geghard Monastery Complex built in the 4th century. Geghard is unique due to the fact that is literally carved into the rock. We also recommend visiting Echmiadzin Cathedral, the ruins of the ancient temple of Zvartnots. Children also will remember the trip to the Tatev Monastery, where they will have the opportunity to ride on the longest ropeway in the world. The ride on “Tatever” ropeway will long be remembered giving a lot of impressions and adrenaline rush! Another jewel of the country is the ancient monastery of Khor Virap, located about 40 km from Yerevan, near the town of Artashat. 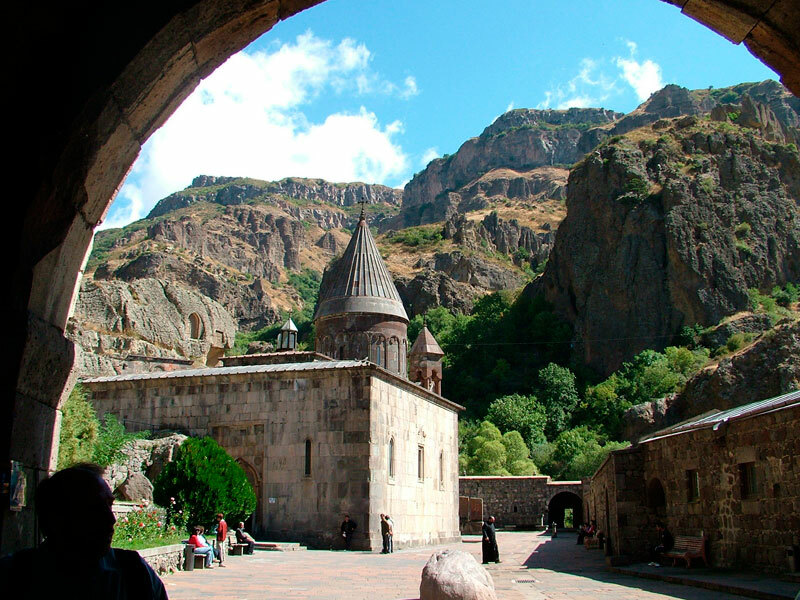 The most exciting part for children in the monastery will be the descent into the cave, where according to the tradition was once imprisoned George the Illuminator, whereby in 301 Armenia adopted Christianity as a state religion, thus becoming the world’s first Christian nation. Khor Virap monastery is built on a hill, almost on the border with Turkey. Thus it offers a truly breathtaking view of biblical Ararat, which is captured on many postcards and paintings. This is where the pride and symbol of Armenia Ararat is so close and yet so infinitely far. 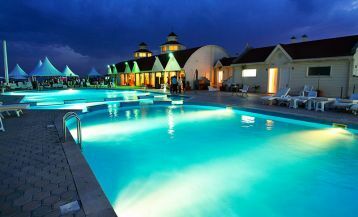 Due to the diversity of climate and natural landscape, in Armenia there are many worthy recreational resorts. 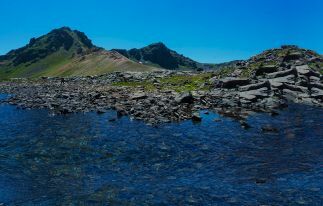 Although Armenia is a landlocked country, the locals do not get upset about this, because they have an amazing lake Sevan, which is sometimes referred to as “Armenian sea” or “the Pearl of Armenia”. Holiday in Sevan is a good choice for those who want to spend time with family and children, relax on the beach, enjoy the beautiful nature and engage in active water sports. Sevan is located close to the capital, only 50 km away, and for the family, it will be convenient to take a taxi (7,000 drams or 15$ one way). Another popular out-of-town family vacation spot is the ski resort of Tsakhkadzor. In summer you can enjoy the fresh mountain air, take a stroll in the woods and go hiking, ride horses and ride on the cable car, while in winter enjoy skiing on snow-covered mountain slopes of 12 km length. It’s worth noting that the resort has a special children’s route, which will ensure the safety of your children. Jermuk spa resort with hot springs attracts a lot of families. Here you can relax your body and soul in the laps of virgin nature. Jermuk-the birthplace of the famous mineral water is an incredibly beautiful city with a huge waterfall right in the middle. Where else if not here your children will be able to relax and improve their health. 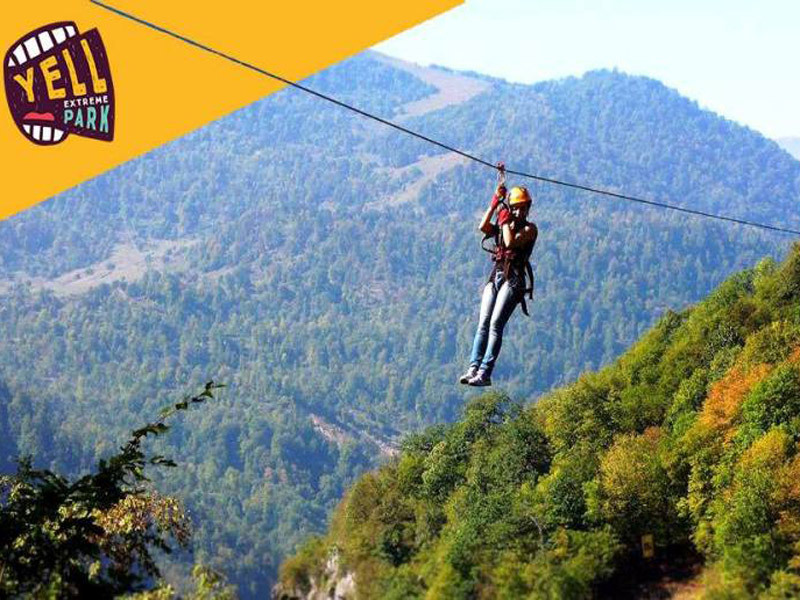 Fans of extreme relaxation can also find a lot of activities to their taste, as the Armenian highland terrain is seemed to be created for the extreme activities by nature. 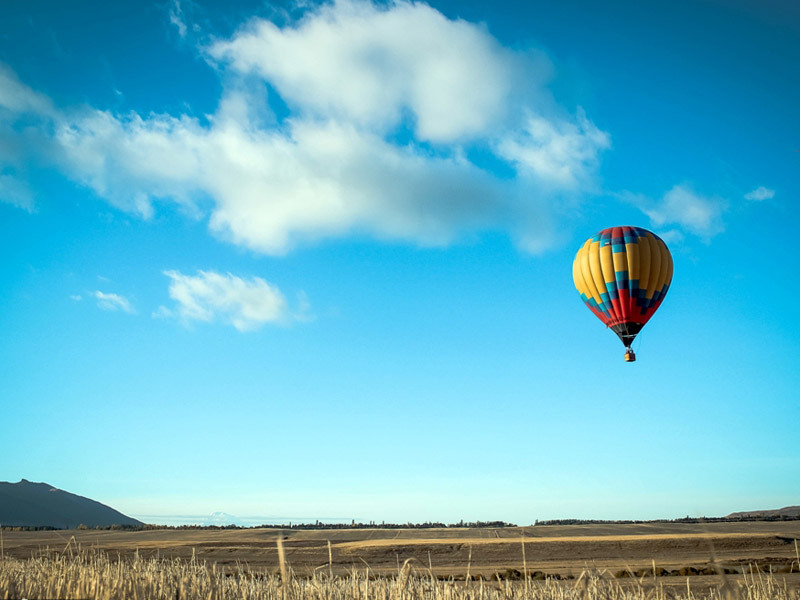 Take a chance to realize the dream of your children and have a ride on the hot air balloon, or soar like a bird on a paraglide. Experienced instructors will come to your aid and will make your flight safe. 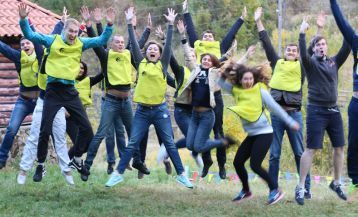 To all Kids who would like to make a trip to Armenia, we want to offer our fascinating Tour to Armenia for schoolchildren.